Shawn Rice has 23 years of experience in the legal field. He has worked with large corporations, including several banks in the United States and Wells Fargo. 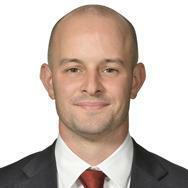 Shawn has experience in numerous business-related legal practice areas. He primarily specializes in finance, banking, real estate, mergers and other corporate legal matters. Shawn received his degree in law from the Marquette University Law School and is licensed to practice law in Wisconsin. "Shawn has done a great job helping our start-up company called Surgical Site Solutions, Inc. by giving us sound advice. By guiding us thr..."
Brendan T. Redmond is a technology and business development attorney with over 26 years of experience. He is licensed to practice law in Massachusetts. He is also a member of the U.S. District Court in Massachusetts. Brendan obtained his legal degree from the Boston University School of Law. He specializes in mergers and acquisitions. Brendan is also skilled in dealing with commercial contracts. He has been serving as a deputy general counselor at Dassault Systemes Solidworks Corp since 2007. Daniel has two roles as a Corporate Counsel at the startup design firm Affarei and an owner of his own firm, Red Metric, APC. He provides legal services for clients for matters related to business, criminal, and social security benefits. He is dedicated to assisting his clients achieve their goals, mitigating risks and consequences, and defending their rights. Brandon Leavitt combines his experience as an entrepreneur and his skills as a corporate attorney to assist his clients in the best ways possible. He has more than six years of experience and is licensed to practice law in Texas. Brandon obtained his J.D. in law from the Pepperdine University School of Law. He specializes in trademark and copyright law, as well as commercial contracts. 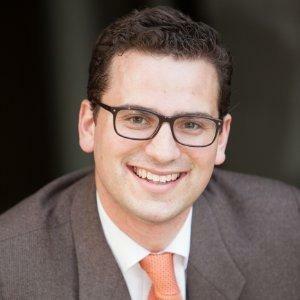 Brandon has been a managing partner at the Eldredge Law Firm since October 2014. "Highly recommend working with Brandon. He made the entire process very easy." Andrew Morabito specializes in intellectual property law. He has more than four years’ experience in dealing with trademarks, patents and copyright matters. Andrew also has experience in drafting appropriate legal contracts for small businesses that helps them protect their own brand. He is licensed to practice law in New York. Andrew obtained a Juris Doctor degree from the University of New Hampshire School of Law. He is currently working as an attorney at his own law office. "Fantastic. I highly recommend Andrew." Raj Patel is an attorney at law with three years of experience. He is licensed to practice law in Virginia and has a Juris Doctorate degree in law, which he obtained from the William & Mary Law School. 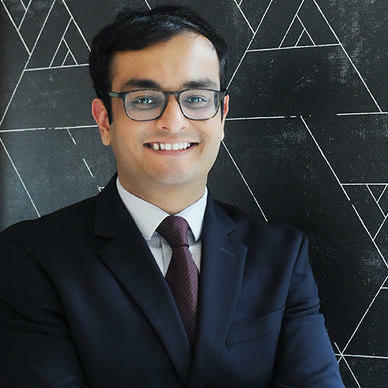 Raj is experienced in dealing with legal matters concerning labor and employment law, and is also skilled in dealing with real estate matters. He has been serving as an associate attorney at Doumar Martin PLLC since January 2015. Richard Ernsberger is a business lawyer who has been practicing law for over a decade. He is licensed to practice law in Pennsylvania. Richard received a J.D. degree in law after he graduated from the Ohio Northern University – Claude W. Pettit School of Law. Richard specializes in trademark and copyright law, and is also experienced in dealing with legal matters that involve real estate law. 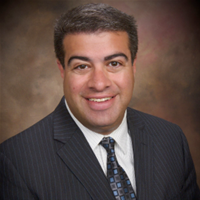 He has been serving as an associate at Behrend & Ernsberger since September 2008. How Much Does a Trademark Cost? Why use UpCounsel to hire a Gallatin Copyright Attorney? Our Gallatin copyright attorneys & lawyers can help you register a copyright for your original work of authorship. This will ensure that you have documented proof of your copyright ownership. Because, if you don't file it, you can't sue if someone uses your work. Once registered, the copyright lawyer you chose can also assist you with the development of licensing and/or distribution agreements so you can collect royalties on your original work of authorship. The copyright attorneys & lawyers on UpCounsel represent entrepreneurs, musicians, actors, artists, TV producers, and authors. Our Gallatin copyright attorneys can also assist you with fighting copyright infringement in the case a party infringes on any of your copyrights, as they'll seek to prevent it and seek damages from any and all infringers. Many attorneys also have expertise in defending clients against claims of infringement. Improve Your Legal ROI with Affordable Copyright Attorneys that service Gallatin, TN. Want to Connect with Top Gallatin Copyright Attorneys & Lawyers?